An era is coming to an end. Statins, the world’s most widely prescribed and profitable drugs, have, with the exception of Crestor (rosuvastatin), all come off patent and their price has plummeted. Good news for NHS accountants: not so good for company profits. This is obviously a great opportunity for the companies but it also faces them with a fascinating dilemma. Statins have been relentlessly promoted as the most beneficial l class of drugs ever, protecting not just against cardiovascular disease but also Alzheimer’s and Parkinson’s and being virtually side-effect free into the bargain. But if the companies are going to persuade those NHS accountants and cash-strapped GP commissioning bodies to start paying serious prices for the new drugs, they need to persuade them that statins actually had a serious problem all along but it is one that can be avoided by buying the new products. Why weren’t we told about this risk before? What on earth is PCSK9, you and the medical statin believers might well ask. And if it is not only able to damage the liver but also render the whole purpose of taking a statin self-defeating, why haven’t we been told about it before? Here was a classic marketing ploy; tell you about a problem and immediately offer a solution in the form of a drug that is able to block the production of damaging PCSK9. The full name of these new drugs is proprotein convertase subtilisin/kexin type 9 inhibitors. And it’s not the only dauntingly high tech-new cholesterol lowering drug that could be coming your way in the not too distant future. For the sake of completeness here is a list of nearly all the new compounds waiting in the wings. Some will undoubtedly founder on the rocks of side effects that are just too dangerous, never to be seen again. For the moment though my money for the first out of the gate are the PCSK9 inhibitors, which I will call P9 inhibitors. So what exactly are they? Well P9 is an enzyme that is found mainly in the liver. It binds to receptors that remove the “bad” LDL (low density lipoprotein) cholesterol and destroys them after they have taken just one LDL molecule out of circulation, meaning that they can’t be reused to remove more LDL. But if you block P9, you allow LDL receptors to continue removing LDL merrily from the bloodstream, so LDL levels fall dramatically. In fact P9 inhibitors appear to lower LDL far more effectively than statins which, if you sign up to the belief that the lower your cholesterol goes the more protection you get, this can only be another major benefit. What’s clever about this is that it avoids taking on statins directly. Given how familiar doctors are with them, how most believe in them and how cheap they are, a head on attack would be doomed to failure. The manufacturers know, damn well, that doctors are not just going to stop using statins, so their P9 inhibitors will be positioned to sit alongside statins, allowing them to work, supposedly, even more safely. At first anyway. But there is more to this press release and I could pick it apart for hours, marvelling at the ability to say so much – in so few words. But let’s just focus on the phrase…’possibly damaging to the liver’ in relation to statins. Now, I know that statins do damage the liver – to a greater or lesser degree. Liver enzymes in the blood (a sign of liver damage) are often raised to three times normal levels – sometimes more. The most likely reason is that P9 inhibitors have been found to cause liver problems themselves in both animal studies and phase 1 studies on human volunteers. Knowing their mechanism of action, it is more than likely that PCSK9 blocking agents could damage the liver. If you over-ride negative feedback mechanisms, the body doesn’t like it very much, as you will be overloading cells with toxic waste products. Enzymes to break down LDL receptors are there for a reason. This fear is not just based on a vague unease that if you block a feedback mechanism in the body you are probably heading for disaster. It is also based on the fact that, if the companies developing P9 inhibitors are already blaming statins for causing liver damage, they are doing to hide their own problems behind a smokescreen. You heard it here first. I also predict that severe liver damage problems will take years to emerge. In most people the liver is pretty resilient – it takes a lot of alcohol and a lot of time to destroy it. I fear that clinical studies will not be long enough to demonstrate this effect –before the drugs are launched and widely prescribed. I can say all this because it is what has happened with damaging block buster drugs in the past, such as the anti-inflammatory Vioxx and and the diabetes drugs Avandia. They will be launched without any long-term studies to show they actually cut your chance of dying from a heart attack. They will be approved purely on the basis that they lower cholesterol/LDL cholesterol. Yes, the great Nostrokendrickos has spoken. In the meantime remember that ‘Something unpleasant this way comes’. Disclosure: I do not believe that a raised LDL/cholesterol level causes heart disease. Nothing to astounding with the above article sure isn’t your predictions Doctor Kendrick typical of how big pharma operates i.e. patent up, time to roll out the next wonder drug. Almost humorous were it not so serious. Big pharma equals big bucks end of. All the while the fact that a raised LDL/cholesterol level does not causes heart disease. I remember watching a lecture given by Dr Jonny Bowden (the great cholesterol myth) in which he showed a slide of a heavy set woman, then a slide of a slender woman and then a slide of a pill and basically I think far too many folk want to get healthier leaner etc by way of a pill as opposed to a life style change. Same with medication, take a statin to lower cholesterol, far too many people are comfortable buying into the false sense of security that the statin will decrease their risk of heart associated problems. Perhaps they see the statin as the easier option to say exercising and cutting all the crap out of their diet, case in hand, America which has a big obesity and statin problem as well. People need to be accountable for their own lifestyle, because one thing is for sure big pharma and food companies don’t ever get held accountable. There’s ample information out there now from good folk such as yourself , Dr Andreas Eenfield, Dr George Mann, Dr William Davis, Dr Donald W Miller, Dr John Briffa, Jerome Burne and Zoe Harcombe but to name a few. This “doctor” is incorrect, and you will pay for his ignorance. If your physician prescribes a statin, take it. You are not a scientist so there is no point in my going into detail. I am a toxicologist, and this guy is dead wrong. He is giving out incorrect and misleading information because he obviously has an axe to grind. The statins are safe and highly effective. Exercise and dietary change will not even come close to doing what a statin does to prevent MI’s and decrease morbidity because stains do not work by lowering cholesterol. They work through modifying the immune (inflammatory) response. This includes cytokines, macrophages and a whole host of other factors that you would need a graduate degree to understand. Statins are wonder drugs that you will regret taking should your physician prescribe them. By the way, do you know which nation does the most heart transplants per capita? How about livers, kidneys, corneas? Which nation has the longest survival rates for almost every form of cancer? How about cure rates for cancers? That’s right. The good ole’ USA where we fill our hospitals with Europeans who pay out of pocket so that they can get the best medical care in the world. I’ve had more than one Brit comment on how clean and modern our hospitals are compared to the UK. I can see my family doctor on a weeks notice, and my last cardiology appointment was made the day before. No waits. No lines, and good service. That is the free market. That is why your people come here as does everyone else who can afford it. It’s getting so I see more Europeans and Canadians each time I go to the hospital (yes, you put a the in front of hospital) than I do Americans. The day we go socialist will be the day we have crap for medical care too. Statins are wonder drugs that you will regret taking should your physician prescribe them. I don’t care whether you agree. They are facts. If you disagree about gravity, it will not bother me either. Look up the facts. They are easily found. Living in denial when the facts are available isn’t too smart. toxicologist, i hope you are taking the statins and lots of them at high dose – the higher the better of course given how wonderfull you say they are! and no, you dont need to explain the science (science from big pharma doesnt count) – anyway, we all have the real science thanks to good people like dr kendrick, yoseph and yoseph and plenty more who have exposed you and your associates as the real enemies of public health. I’m sure your GED qualifies you to do surgery too. Ad hominem attacks are the last refuge of the those short on facts. The data you say are clearly in support of statins are–where? Love to see them. Indeed READ about the coverups by the drug companies to bury the data on adverse effects that were known well before they were unleashed on the public. Since cholesterol and LDL, oxidised or otherwise, are not the prime movers of cardiac disease, attemps to manipulate them are dangerous as much as they are stupid. I’d have to assume you are a shill for big pharma. You’re only valid point is that the US healthcare is second to none, despite the statin fiasco. You obviously haven’t read Dr Kendrick’s book. It’s full of FACTs not ignorance to which you implied. You may be a toxicologist but have you ever taken statins? I’m appalled that you call statins ” wonder drugs’ the only wonder about them is how I’m still alive after taking them. Please don’t tell me ” a handful of people get side effects and I was one of the unlucky ones” heard it all before. Just do some research on statin side effects and you’ll find MILLIONS of people throughout the world struggling to get their lives and health back after taking this poison. Oh Yes, said original author has stated he does take statins and they saved his life….. how very fortunate he is… the destroyed mine and untold numbers of others who have been brushed off as incidental unimportant ageing hypochondriacs. ORIGINAL POSTER you are dying one cell at a time and don’t know it …. The literature contradicts your statement. I am very pleased with the results of my statin use and the scientific literature supports my actions rather than your paranoia. How dare you call me paranoid. I do have medical proof that statins caused me damage. My medical records – record “ALLERGY to statins”… you are tiresome and vulgar. I do not recall saying that statins do not have side-effects, nor did I ever say that some people can not tolerate them. I did, however, say that all medications have side-effects, and even statins have a very low incidence of adverse side-effects. That’s called statistics. We don’t stop using a medication because YOU have an allergy to it, and that does not make it a “bad” medicine either. I’m allergic to ACE inhibitors, and they are excellent, life-saving medications that all hypertensive patients may be prescribed with excellent results. The very few that can not tolerate it simplify can not benefit from it just as you can not benefit from statin use. Lowering cholesterol, or blood lipids in general, will not reduce one’s risk of coronary artery disease as established by the Vytorine study 3 years ago, and the recent Naispan/simvastatin study. Cholesterol (bl’s) do not cause coronary artery disease. Lowering them will do nothing but waste money. Until the next generation of immunomodulating agents becomes available there is no way other than control of hypertension to reduce one’s risk of an MI. This is why the statins are so important. They are the only effect immunomodulating agents out there. They reduce the risk of an MI, the risk of a second MI, increase life span, decrease prostate cancer risk, reduce the risk of post-operative dementia in the elderly, and are suspected of having many more uses including the treatment of Alzheimer disease and r. arthritis. Other autoimmune diseases may also be attenuated by their use like MS and CIDP. I take 80 mg. of simvastatin daily. Not a single side-effect and perfect blood chemistries. I had an MI in 2002. Prior to beginning statin treatment I spent three days in the UCSD medical school library reviewing the literature. I don’t just skim the abstracts. I read the entire study from abstract to conclusion. I also frequently double check calculations and look at the original data. I reached the conclusion that the results were impressive, and that this was an extremely effect medication that I should be taking. There are times when my physician and I may not see eye to eye on a particular medication or treatment. This is not one of those times. Spend a few days reading the studies. I have kept up on it simply because as a new medication on the market you do sometimes find problems with large scale use. None of the problems with statins (and ALL medications have side-effects) have been statistically significant enough to out-weigh the therapeutic value. So, YES. I do take statins, and a fairly large dose that I would NOT recommend others do without the direct over-sight of a physician (for lab access to run GSOT and GSPT). Simvastatin at 80 mg. can cause problems for some people. 40 mg is the recommended maximum dose unless one has tolerated 80 mg. well in the past, which I have. These are very safe drugs with incredible results. I’m a toxicologist. This is what I do for a living. I wouldn’t take them if this were not the case. Today you will hear that statins will cause you to grow a second head. The claims are outrageous and the medical kook community jumped on board because they know that most people do not understand pharmacology, or even basic science. This makes the general public very easy to scare, and this fear can make one a good living. So people like this guy are selling fear. How much fear would you like to buy? How scared and gullible are you? All I can suggest is that you go to the local medical school library and read the studies and learn to understand them. Than you will see that what I am saying is true, but I have 100% certain that you will not do this. Why? Because fear and paranoia is fun for some folks. [06-08-2011] The U.S. Food and Drug Administration (FDA) is recommending limiting the use of the highest approved dose of the cholesterol-lowering medication, simvastatin (80 mg) because of increased risk of muscle damage. Simvastatin 80 mg should not be started in new patients, including patients already taking lower doses of the drug. In addition to these new limitations, FDA is requiring changes to the simvastatin label to add new contraindications (should not be used with certain medications) and dose limitations for using simvastatin with certain medicines. Patients taking simvastatin 80 mg daily have an increased risk of myopathy compared to patients taking lower doses of this drug or other drugs in the same class. This risk appears to be higher during the first year of treatment, is often the result of interactions with certain medicines, and is frequently associated with a genetic predisposition toward simvastatin-related myopathy. Patients with myopathy generally have muscle pain, tenderness or weakness, and an elevation of a muscle enzyme in the blood (creatine kinase, or CK). The most serious form of myopathy, called rhabdomyolysis, can damage the kidneys and lead to kidney failure which can be fatal. Oh well, toxicologist, if you have perfect blood chemistry then nothing else matters really does it? I do think it’s sooo important to have perfect computer-generated reports and to hell with how anyone is feeling; those ghastly, neurotic patients just can’t be trusted to tell the truth… Treatment based on data alone is The Way Forward. Here is what a REAL physician who is publishing in REAL scientific journals has to say. Try reading a reputable source for one. Here are the FACTS from a REAL physician publishing in peer reviewed medical journals. Try reading something in a reputable journal for once. In a 2013 Bloomberg ranking of nations with the most efficient health care systems, the United States ranks 46th among the 48 countries included in the study. Of 17 high-income countries studied by the National Institutes of Health in 2013, the United States had the highest or near-highest prevalence of heart disease, yet one in four Americans over the age of 45 take a statin drug to reduce their cholesterol. Most are prescribed a statin as a primary prevention strategy against heart attack and stroke. So maybe just maybe cholesterol isn’t the problem and maybe just maybe the American food pyramid should be inverted and ease up on the statin prescriptions. I don’t care about how each organization with an axe to grind rates healthcare systems. I only care about data. Highest per capita heart transplants, liver transplants, kidney transplants are in the USA. Highest survival rates and length of survival from lung, colon, breast, prostate, and just about every other cancer and leukemia is in the USA. Heart disease and cancer are the leading cause of death in all developed nations because those are diseases of the elderly, and these nations have the longest life spans. There is nothing wrong with the American diet that eating less would not cure. The USA health care system is still the best in the world despite it’s over-regulation and government issued monopolies. There is no real justification for interfering with cholesterol synthesis through the taking of statins, because cholesterol has absolutely no involvement in the advance of arteriosclerosis. As became clearer in the 1970s, the original experiments involving adding cholesterol to the chow fed to animals that induced arteriosclerosis did so through the action of cholestane triol, and not through cholesterol. Cholestane triol is one of the three possible oxidised cholesterols. Statins inhibit production of mevalonic acid, and mevalonic acid is the substrate, not just for very vital cholesterol, but also for at least 5 other vital biochemicals that we know of. To suggest statins have few side effects is a nonsense. Statins have side effects in 100% of cases precisely because they are not strictly discriminate in throttling back synthesis of cholesterol and only cholesterol. And in any cases ramping back on the production of cholesterol when there is no known justification for so doing is an affront in itself. My interpretation of side effects in 100% of cases stems from the fact I have studied what authors have said about cholesterol and studied the way in which statins work. I have given a lot of thought to what actually causes heart disease. Between my view and your own is that the effects of interfering with synthesis of cholesterol, CoQ10, Dolichol, Tau Protein, Seleno-protein and nuclear factor-kappa B may not induce immediate symptoms that the patient will notice, or when symptoms do arise they are easy to pass off or put down to other things, and if the patient raises them with their physician the physician may pass them off all to readily. One of the significant point Dr Duane Graveline makes in his work on the subject is that a high proportion of statin side-effects will go unreported and not enter the system of accounting. To tell you the truth those of us who have troubled to familiarise ourselves with the topic know only too well that grouchiness or even road rage-type anger is a very real prospect. So to is a decline in clarity of thought and rationality. You have us wondering if wee can detect side-effects in you that you cannot. As for the USA being so wonderful you lead the world in the taking of antidepressants. How come it can be such a marvellous place when many of its inhabitants are so depressed. The USA doesn’t come up to well when viewed from the perspective of a book, ‘The Spirit Level’. The USA also suffers from terminal levels of the asymmetry of capital. The distribution curve representing ownership of wealth and indebtedness is now so imbalanced it is undermining the ability of economic activities to provide much needed function. The USA leads the world in sub-clinical and clinical obesity. It leads the world in diabetes too. It’ll top the league in Alzheimers. The reason is simple. The idea that saturated fat / cholesterol is bad for us has people consume an excess of PUFAs and an excess of readily digestible carbohydrates. You cannot get fat if the diet contains judicious amounts of healthy saturated fat. If were in your shoes, or if I were close enough to you to give you advice, then I’d have you think about levels of cortisol and homocysteine, and maybe you should think about having them tested testing. As for simvastatin, I would not wish any statin on my worst enemy. Great post. Do hope unfortunate toxicologist is ok and not suffering from too much cognitive dissonance. Idea that statins cut coQ10 is pretty familiar but I didn’t know about the other compounds, let alone what they do. Has anyone done work on them, what kind of effects might you see from them having them reduced, any point in supplementing? Duane (Doc) Graveline is the leader in the field of showing what other pathways are damaged via statin use, and the probable / possible ramifications of such. The damage done by these drugs is systemic…. dare I speculate in years to come (I jest) even ingrowing toenails will be put down to these dastardly drugs! Nobody has dome more to unearth and describe the side-effects of statins than ‘Spacedoc’ himself Duane Graveline, who had a nast experience when porescribed them. Dr Graveline researched the subject and has written about it. Visist http://www.spacedoc.net for his amassed data on statins and their associated problems, or read one of his books, such as The Statin Damage Crisis. a) will the patient notice? b) if the patient notices will the patient make the connection to the drug? c) will the patient inform their physician? d) will their physician credit the patients concerns? e) will the physician file th report that logs the incidence of a side-effects? Every step determines the logial assessment of 100% is watered down. For some of these reasnas Dr Graveline is firmly opinionated that statin side-effects are greatly under-reported. The fictional markets for pharacueticals is snow-balling. Statins enjoy a fictional market, and, while several causal factors may be at work, the diet-heart hypothesis, butritional dogma, and interests attached to statins have fuelled the explosion in obesity and diabetes. One fictional market (statins) has led to another (metformin), and now the rise in incidence of Alzheimers is fuelling the gold-rush to identift and develop oligomer disruptors. There could be a suite of low-input solutions that could address these chronic clinical risks. c) don’t rush to overconsume PUFAs – especially the omega-6 types. d) eat some raw plant foods and ingest some quality soluble fibre. Unfortunately the research is not funded in ways nor by means that encourage favour with low-input solutions. It’s the profitable ones that they’re after. Zombie capitalism only requires the complicty of zombies to do its dirty work, and it’s sad but true that the world is not short of zombies. Dear Nostrokendrickos , as always a well written and though out article. I picked up on these new drugs quite some time back, and only last week after the Australian ABC’s Catalyst program…. noticed Big Pharma were terribly quiet and figured something big must be about to break. Knew we did- that they were just waiting in the wings, and so glad you (credible you) have written about it now. Excellent! I always thought the emerging recommendations that LDL cholesterol levels should be treated to below the 8th percentile of the population (70mg/dl) were still far too high. Now, with this power combo, we can really get the cholesterol limbo game into gear and try to get LDL levels as close to zero as possible. OK that’s my sarcasm quota used for the day. On a real level, the question will be what degree of efficacy these drugs will be required to prove. How many years of clinical trial follow up for real life outcomes? Surely (Please God), drug approval is beyond the awful stage of believing that changes in lipid surrogates can be extrapolated to risk reduction. The statins are the single most successful class of drugs to come out since the beta-blockers. They have few minor side-effects that occur extremely rarely. They are the only class of drugs proven to prevent a second heart attack, and they have also been proven to extend life expectancy, unlike all the other lipid lowering medications. Drugs like Niaspan and Zetia lower blood lipids but do not reduce your risk of a heart attack (MI), or decrease morbidity. Why? Because blood lipids (cholesterol, etc.) do NOT cause cardiovascular disease. They are only a correlating factor. The statins do NOT work by lowering blood lipids. This is false and a poor interpretation of the data that involves the confusion of a correlation with causation. The Vytorine and Niaspan studies prove this. The statins lower one’s risk of an MI through immunomodulation of the inflammatory response. Altering pathways that do not enhance this effect will not increase efficacy. The statins will remain an excellent and effective medication for decades to come, and are already saving thousands of lives annually. Take your statin ad directed by your physician. This author is a clown who doesn’t know what he is talking about. I’m a toxicologist and I do. I also take 80 mg of simvastatin daily and have never experienced a single side effect. In fact I know at least a dozen men my age taking them with not a single side effect between all of us. I had an MI 11 years ago, and without simvastatin there is a very good chance I would have had another by now and might be dead. I take my satin religiously and my coronary arteries have remained open and well perfused with the aid of my simvastatin. These truly are the greatest pharmacological discovery in the last 50 years, and now we are finding that they can also prevent some cancers (prostate), and they protect against post-operative dementia in the elderly. TAKE YOUR STATIN. IT MAY SAVE YOUR LIFE. DO NOT STOP TAKING YOUR STATIN BASED UPON WHAT THIS UNEDUCATED KOOK SAYS. Follow your doctor’s instructions and take this medication. I did not say that the statins lower inflammation. I said that they modulate the immune response. That mean that they attenuate (lessen) some aspects and heighten others. No. There are no other ways to do this other than statin intake at present. Diet will not effect the immune system unless of course you are deficient in your diet. There is no such thing as a diet that decreases, let alone modulates, the immune response. I’m talking real science, not kook diet books that make BS claims. Statins are a wonder drug for sure. They as much as anythng else are a component in the madness that has created a new potential market for oligomer disruptors ‘needed’ to ‘prevent’ Alzheimers. Abnormally high levels of creatine phosphokinase (CPK) were the reason the statin drug cerivastatin (Baycol) was withdrawn from the market on August 8, 2001, because of 52 cases of fatal rhabdomyolysis. Either doctors who prescribe statins don’t really understand how they work, don’t understand basic cell biology, or don’t care about that as much as they care about their salaries.Over 100,000 people die every year from FDA-approved prescription drugs. This number isn’t from drugs that are prescribed by quacks, either. This figure sadly comes from the number of people who die every year from FDA-approved pharmaceutical drugs prescribed properly by a licensed medical professional. Cite your sources. I don’t see a single citation for your outrageous claim of 100,000 deaths per year. It is not even a fraction of that unless you include all cases of drug abuse. ADRs are one of the leading causes of morbidity and mortality in health care. The Institute of Medicine reported in January of 2000 that from 44,000 to 98,000 deaths occur annually from medical errors.1 Of this total, an estimated 7,000 deaths occur due to ADRs. To put this in perspective, consider that 6,000 Americans die each year from workplace injuries. However, other studies conducted on hospitalized patient populations have placed much higher estimates on the overall incidence of serious ADRs. These studies estimate that 6.7% of hospitalized patients have a serious adverse drug reaction with a fatality rate of 0.32%.2 If these estimates are correct, then there are more than 2,216,000 serious ADRs in hospitalized patients, causing over 106,000 deaths annually. If true, then ADRs are the 4th leading cause of death—ahead of pulmonary disease, diabetes, AIDS, pneumonia, accidents, and automobile deaths. These statistics do not include the number of ADRs that occur in ambulatory settings. Also, it is estimated that over 350,000 ADRs occur in U.S. nursing homes each year.3 The exact number of ADRs is not certain and is limited by methodological considerations. However, whatever the true number is, ADRs represent a significant public health problem that is, for the most part, preventable. 1Committee on Quality of Health Care in America: Institute of Medicine. To err is human: building a safer health system. Washington, D.C.: National Academy Press; 2000. 2Lazarou J, Pomeranz B, Corey PN. Incidence of adverse drug reactions in hospitalized patients: A meta-analysis of prospective studies. JAMA 1998;279:1200–1205. 3Gurwitz JH, Field TS, Avorn J, McCormick D, Jain S, Eckler M, et al. Incidence and preventability of adverse drug events in nursing homes. Am J Med 2000;109(2):87–94. The following is as printed on the FDA web site. So according to your own source the number is 7,000 deaths. Of course you than go on to print out all the other “estimates” going to an extreme of 106,000 even though the estimate is prefaced with “IF these estimates are correct…” because there is insufficient data to make an extrapolation. That makes the 100,000 number meaningless statistically. However, the 7,000 figure is supported statistically which why the number is plainly stated in the very first paragraph before the speculation begins. So now we know the correct number is 7,000 from your own source. See how easy it is to find the correct number amongst all the speculation. It’s right there in the very first paragraph. Thanks for making that so easy. Wang X, Dong Y, Qi X, Huang C, Hou L.
Department of Neurosurgery, Changzheng Hospital, Second Military Medical University, Shanghai, China. The purpose of the study was to assess the relationship of cholesterol levels with the risk of hemorrhagic stroke. The study was an analysis of 23 previous studies and included 1,430,141 participants. (a) Those with the highest cholesterol had a 31% decreased risk of hemorrhagic stroke compared to those with the lowest cholesterol. (b) Those with the highest levels of low density lipoprotein (LDL) cholesterol had a 38% decreased risk of hemorrhagic stroke compared to those with the lowest levels of low density lipoprotein (LDL) cholesterol. (c) Every 1 mmol/L (38 mg/dL) increase in cholesterol levels decreased the risk of hemorrhagic stroke by 15%. (d) Every 1 mmol/L (38 mg/dL) increase in low density lipoprotein (LDL) cholesterol levels decreased the risk of hemorrhagic stroke by 10%. High levels of cholesterol and low-density lipoprotein (LDL) cholesterol are associated with a lower risk of hemorrhagic stroke. This is a meta-analysis of 23 different sub-sets of data. I give almost no credence to these meta-analyses since I’ve done data analysis and understand the inherent errors associated with this type of study. 23 labs using 23 different sets of instruments, calibrated differently by 23 different technicians for studies that all have different goals. Not to mention the fact that the word STATIN appears nowhere in your summary, or the abstract. This study had NOTHING to do with statins. In fact, it didn’t even mention whether subjects were included who used statins, or were excluded. It is not a statin study, and since that is what we are talking about, I have no idea why you even cite this source. The assumption that because statins lower blood lipids, and lower blood lipids are associated with increased cerebral bleeds, does NOT mean that statins will do so. In fact, statin use may decrease cerebral bleeds. You don’t have enough data to know. We do however have enough data to show that statins reduce one’s risk of prostate cancer, post-operative dementia in the elderly, and decreases morbidity and the risk of a second MI. This study has nothing to do with statins, is a meta-analysis, and therefore has no relevance to the discussion of STATINS. ADRs are one of the leading causes of morbidity and mortality in health care. The Institute of Medicine reported in January of 2000 that…an estimated 7,000 deaths occur due to ADRs. To put this in perspective, consider that 6,000 Americans die each year from workplace injuries. The exact number of ADRs is not certain and is limited by methodological considerations. Here is my source from the Institute of Medicine, January 2000. Thanks for another great post. I have taken your advice for over five years. I believe you are correct regarding these new ‘wonder drugs’ The list of drugs banned in recent years is long. People are waking up to the dishonesty and criminal activities of big pharma. The main players have been fined $billions in recent years for lying, bribery and corruption, withholding information and falsifying trial data etc. etc. As the Who once said, we won’t get fooled again. The gig is rapidly coming to an end for big pharma and junk food companies. Last word to Allen Roses. Rather than read the ranting of kooks, how about trying to read from reputable sources for a change? I have a perpetual battle with medical people about cholesterol lowering. I am (?fortunate) that I carry the tag ALLERGIC to STATINS on my medical records, but that does not stop them from attempting to prescribe me any and every other possible drug for lowering my ‘numbers’ to what they perceive as acceptable. These new drugs in the wings, waiting to be released on a mostly unsuspecting public are again going to target LDL cholesterol…. has anyone asked WHICH FRACTION? Curious, as I have read there is a big difference between VLDL and the large fluffy type…… does it matter? Is it cholesterol that causes CVD (rhetorical) or is it simply the fireman attending the fire? Are There Side Effects of Statin Drugs? Most people who take statin drugs tolerate them very well. But some people experience side effects. Statins also carry warnings that memory loss, mental confusion, high blood sugar, and type 2 diabetes are possible side effects. It’s important to remember that statins may also interact with other medications you take. Which Statin Side Effects Are Serious? Myositis, inflammation of the muscles. The risk of muscle injury increases when certain other medications are taken with statin use. For example, if you take a combination of a statin and a fibrate — another cholesterol-reducing drug — the risk of muscle damage increases greatly compared to someone who takes a statin alone. Elevated levels of CPK, or creatine kinase, a muscle enzyme that when elevated, can cause muscle pain, mild inflammation, and muscle weakness. This condition, though uncommon, can take a long time to resolve. Rhabdomyolysis, extreme muscle inflammation and damage. With this condition, muscles all over the body become painful and weak. The severely damaged muscles release proteins into the blood that collect in the kidneys. The kidneys can become damaged trying to eliminate a large amount of muscle breakdown caused by statin use. This can ultimately lead to kidney failure or even death. Fortunately, rhabdomyolysis is extremely rare. It occurs in less than one in 10,000 people taking statins. Can my Doctor tell me I will not suffer from any of these side effects ? No. Can my Doctor guarantee I will receive any benefits from taking statins ? No. Do people with so called good cholesterol numbers have less heart attacks ? No. Only in a world that has gone barking mad could you turn statins into a $30 billion business. IF we place so much of our faith in the science as the TOXICOLOGIST has…… they will surely come crashing back down to earth when it is recognised that the science is NOT infallible???? In today’s world, brimful as it is with opinion and falsehoods masquerading as facts, you’d think the one place you can depend on for verifiable facts is science. You’d be wrong. Many billions of dollars’ worth of wrong. I have been silent (mainly because I couldnt’ log in, due to having two different accounts). I have been sent the various comments by Edward Schlosser a.k.a. the ‘toxicologist’. He is right about two things. Cholesterol levels have nothing to do with CVD. He is also right that statins have other ‘pleiotropic’ effects that can explain their benefits on CVD. Whether this is due to their immunomodulatory actions, or thero ability to stimulate nitric oxide (NO) production in endothelial cells, and thus reduce thrombus formation – I cannot say. Although I suspect the latter. I think phrases such as ‘rather than read the ranting of kooks,’ are completely counter-productive. They add nothing, and are the opposite of scientific debate. I suspect anyone reading such comments will make up their own mind about who to listen to. My main issue is, of course, with statin adverse effects. These are common, they are often very debilitating and in some cases irreversible. I should point out that extreme irriabiltiy, and anger, is extremely common and often goes unrecongised. Particularly with high dose statins e.g. 80mg simvastatin. The beneficial effect of stimulated NO production would fit with a video of a ‘TED’ talk I saw earlier this year in which an Edinburgh cardiologist (I forget his name) was linking the lower CVD rates in sunnier climes with the ability of UVA radiation to stimulate endothelial NO production. Extreme irritability also goes along with living on a planet full of scientifically ignorant people who have absolutely no idea the amount of education, work and dedication that goes into producing life saving medications, and make asinine, paranoid, conspiracy laced comments after reading one or two articles written by kooks. Than these “experts” profess to know more than their physicians who spent no less than 12 years in post-secondary education, and many times over 16 years including post-doc fellowships. Real physicians practice medicine and publish in peer reviewed scientific journals. Quacks scare the uneducated for their own personal financial gain, and this leads to frivolous lawsuits that drive up the costs for all of us. Yes, that makes me irritable. Statins are safe, and have few side-effects, most of which are completely harmless. Rhabdomyolysis, a potentially life threatening condition occurs in less than 5 out of 100,000 people taking statins. This means that 99.9999% of all people taking statins will NOT develop this condition. Statins save lives, and telling patients they are dangerous is a lie with the one of the consequences being death. Yes, scaring people into not following their physician’s orders gets me pissed off. Rhabdomyolysis was the cause of multiple deaths from Bayer’s powerful statin Baycol. Ads boasted that Baycol was so strong that users could pull tugboats. The taking of Baycol was endorsed, prescribed and heralded by folk just like you toxicologist, until eventually taken off the market after 52 deaths. Let’s not forget multiple peer reviewed double blind studies hailing MER/29 which lead to doctors handing them out like sweets, we all know the outcome of MER/29. Rhabdomyolysis occurs in 5 out of every 100,000 patients. Any class of medications that is used is going to have some early problems, and all have side-effects. If you don’t want to assume any risk, don’t take any medications. Antibiotics kill hundreds each year. Is that a good enough reason to never take an antibiotic? I’m allergic to ACE inhibitors. Is that good enough reason to ban all ACE inhibitors. They didn’t take medications 100 years ago with scientific validity and they had an average life expectancy of 55. With modern pharmaceuticals we live to 80 today. I don’t care if you choose 55. You aren’t the first Luddite to fear technology and science. Would you give it a rest toxicologist sure in 2004 all of the doctors who wrote the new NCEP guidelines under Dr Cleeman’s direction had received payments or research money from statin manufacturers. Grundy, Bairey, Hunninghake,Pasternak,Smith,stone. Hard work, dedication don’t make me laugh, mind you are an ardent supporter of statins; you wouldn’t by any chance be making a financial gain by the sale of statins would you. Maybe you’re an owner and Medicinal Chemist somewhere? prehaps. Yes. I am a the owner of Pharmacognosy Services of San Diego. We produce medical grade cannabis under pharmaceutical conditions and have our products analyzed by GCMS by an independent laboratory for standardization and QC. So what? What does that have to do with statins? ALL pharmacological agents are tested by physicians who do not work for free. I suppose you believe that all the government financed climatologists are just lying about their data concerning global warming to receive government grants, right? By your standards the only people qualified to establish guild lines are those who know absolutely nothing about the medication for which the guidelines are being written. Those who have done the studies ARE the experts, and data does not lie. Researchers routinely report out poor results when the data points that way, and they report out good results when the data supports that. Researchers do double blind studies to prevent even unconscious biasness. Results are therefore always objective. you say Sir, you are only interested in the data. Conclusions Among this group of large clinical trials, non-publication of results was common and the availability of results in the ClinicalTrials.gov database was limited. A substantial number of study participants were exposed to the risks of trial participation without the societal benefits that accompany the dissemination of trial results. Now having thought about this, and read you copious missives extolling the so called virtues of statin drugs (specifically your comments saying you do not simply read abstracts and conclusions, but you study the entire documents) how can you possibly reach the conclusions you have (rhetorical) when you (nor any other member of the public it seems) do not actually get to read ALL the studies done? Curious! Please don’t rant, stay on point, dont suppose you know what others believe, I don’t recall commenting on global warming, or medical guidelines, there was no requirement made of Merck to prove the efficacy of lovastatin in reducing the incidence of CVD and stroke. The only caveat imposed by the FDA was, since proof was not available, that Merck could not make the claim of reducing CVD and stroke. The efficacy issue was overlooked on the assumption that lowering cholesterol would lower CVD risk even without proof. That assumption is the reason why insurance companies require statin prescriptions as medical protocol and doctor’s wholesale prescribe statins.yes i certainly would question so called experts who work on assumption. Do you recall the Vytorin scandal, a combination of Merck’s Zocor with Zetia, it proved poorly on a study that Merck’s would not release to the public. Perhaps it is time that the group owner/moderator put an end to the sadly pathetic ramblings of the toxicologist who seems to consider himself akin to one of the greater Greek gods, and us lesser mortals unworthy of his considerations….. that would not worry me in the least as I find the person offensive and quite unnecessary to the conversation. Toxcologist – this post has been removed on the grounds that it is abusive and adds nothing to the debate. My only reservation about doing this was that your posts are a strong confirmation of the view that, devoid of good research evidence, the only refuge for the statin believer is in playground level personal attacks and repeating points that other commentators have already dealt with effectively. 80mg Simvastatin and no side effects, lucky person. Even Merck acknowledged that muscle pain was a big enough side effect that they wanted to add CoQ10 to the stuff in their 1990 patent. 1990, all those years ago and still my GP tried telling me that statins weren’t the problem, he had a different excuse every year until even he admitted it was the cause. Even the good old NHS now list it as one of the problems caused by taking statins. Add to that the sleepless nights and the brain confusion/poor memory, I’m happy that I stopped. If I do die as a result I’ll probably have lived longer than if I continued taking them because I’d just about had enough after 16 years, I was ready to organise my own termination. Does Dignitas accept 61 year olds? I’m still looking for empirical evidence showing the benefits of low cholesterol levels (mine was 3.5 before I stopped Atorvastatin). Maybe my brain is too confused after taking statins for so long to find anything. The empirical evidence you are looking for is in your local medical school library. It is a well established fact that statins reduce the risk of an MI and decrease morbidity. Other drugs, like Zetia, reduce blood lipids without reducing the risk of an MI or decreasing morbidity. This is why Vytorine produced the results it did, and the Niaspan/simvastatin study did the same. Decreasing blood lipids does NOT decrease one’s risk of an MI. Statins work through immunomodulation, not reduction of bold lipids. What you should be looking for is there. You just need to know what to look for. Two biochemical pathways common to all cells of all organs that should not be disrupted by a drug are the mevalonate pathway and aerobic metabolism.Period. Guess what? statins interrupt both. Almost all medications are poisons when consumed in sufficient proportions. The Foxglove plant is poisonous, yet digitalis is still used to increase contractility in congestive heart failure. The Nightshade plant is poisonous, yet atropine is used in cardiac medicine to stimulate the heart and in optometry to dilate the pupil. Ergot alkaloids are derived from a fungus as is cyclosporine A used to prevent organ rejection. Of course you know where we get penicillin, right? Of course you do because it is from one of those “deadly” fungi you have listed. You’re in good company because Fleming thought that penicillin would be poisonous to humans for the same reason. Now see how silly your reasoning is? Of course toxins are used in medicine; mercury and arsenic were once used to treat syphilis. Today we use chemotherapy and radiation against cancer. So as to do no harm toxins are used as a curative last resort. Statins are toxins that are prescribed to prevent CVD. At a 2.4% success rate and a much higher harm rate they are neither efficacious nor safe and violate the most basic principle of medicine. Chemotherapy would never be used to prevent cancer. Fleming discovered penicillin; it took Florey and Chain to make it a usable product. Though both Fleming and Florey were knighted in 1944 and all three of them (Fleming, Florey and Chain) were awarded the 1945 Nobel Prize in Physiology or Medicine, Fleming is still credited for discovering penicillin. A research team used the national database sponsored by the American Heart Association’s Get with the Guidelines program. The database includes information on patients hospitalized for cardiovascular disease at 541 hospitals across the country. The researchers analyzed data from 136,905 patients hospitalized for a heart attack nationwide between 2000 and 2006 whose lipid levels upon hospital admission were documented. Nearly 75 percent of patients hospitalized for a heart attack had cholesterol levels that would indicate they were not at high risk for a cardiovascular event, based on current national cholesterol guidelines. BTW, I note that the recommendation for cholesterol as per the National Cholesterol Education Program, part of the National Heart, Lung and Blood Institute of the National Institutes of Health.fell from 6.5 to 5 in 2004. I’m not a scientist or a statistician, so it’s not unnatural for me to ask why is having my cholesterol levels in the range dictated to me by doctors who receive money from the pharmaceutical companies such a good idea? Would I be allowed to serve on a jury if I knew the defendant, is it OK for the judge to be friends with the defendant? Probably not. Not easy for us lesser mortals. Still way off point toxicologist, if you have nothing constructive to say you’re probably best off saying nothing. Your ramblings read like that of an episode from a soap opera. Lastly your true temperament and mannerism are displayed for all to see, like a desperate man who resorts to slurs when he can’t handle the truth. You are no more than a bully. But your tactics won’t work here, alas I will excuse your bad manners and temper due to your excessive statin medication. Please remember under no circumstances have you as you put it dealt with me, to the contrary you have exposed yourself. My what a angry unpleasant man you are. note to toxicologist A man’s manners are a mirror in which he shows his portrait. Is it just me, or are we in for another ezetimibe-esque runaround? After all, ezetimibe has been found to ‘improve’ the cholesterol reduction achieved with statins alone, but has never been found to spare a single person from a heart attack or death. Is it too much to ask for the FDA and other regulatory agencies to learn from this and base their licensing decisions on good hard clinical endpoints (not surrogate markers)? The Vytorine study is well known which is why you no longer see commercials for it on TV. I expected the results of the Niaspan study. It was no surprise to someone who knows that the statins do not work by lowering blood lipids. They work through modulating the immune/inflammatory response. Moving right along here so where do we now go after the release yesterday of the New Guidelines, which from what I have seen so far, create many millions more patients for the Statin manufacturers???? This certainly gives much needed understanding of the reality of the good (?is there any) versus the bad (yes there is much) in the Statin debate which will now rage after the new guidelines make many more millions of people ‘liable’ (I use that word correctly) to injury and possible death from taking / being prescribed statin drugs – merely because a computer program says they need to be on them….. talk about HERD MENTALITY! Even after sifting through this ,, do I take a statin or not !!!! As a humble journalist couldn’t give any clinical advice but in general, if you haven’t had a heart attack, I’d say, cautiously, that the balance between your chance of benefit and the chance of side-effects tip to the side-effects side. On the other hand you are very unlikely to suffer any adverse events from a healthy life style advice on which is widely available – my book ’10 Secrets of Healthy Ageing’ is one example. 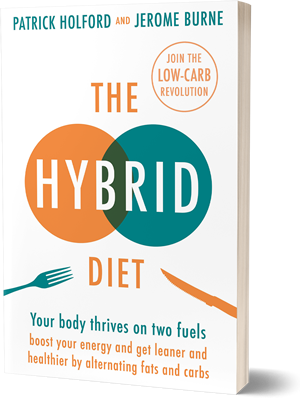 Depending on how organised/geeky you are you might even do an ‘experiment of one’ and find out what effect life-style changes have on blood pressure, cholesterol levels (if you must) triglycerides and blood sugar. If they all start going in the right direction it is a no brainer. Can’t tell you that but there is quite a lot of information here that should give useful questions to ask your doctor that may help you make up your mind. Perhaps the reader who is questioning if they ought to discontinue their statin medication would be interested in hearing the stories of people who are affected by what we call statin toxicity? There is a group on FB called Stopped Our Statins and there is a group at Yahoo with the same name. All members or their family members are damaged physically through taking these drugs. Just a thought.